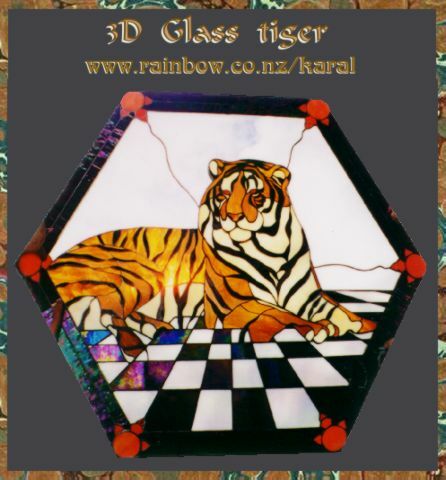 #GA1 Temple Tiger 40 in. dia. 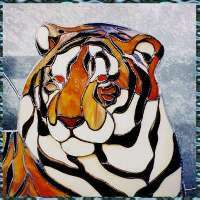 This piece was done with passion as I was born in a tiger year and my birth sign is Leo so I feel at home with big cats. It was built with shape into it, so he takes on a 3 dimensional character for the observer. A labor of love with many long hours put into his creation. 345 pieces, shaped copper foil work. Made July 95.